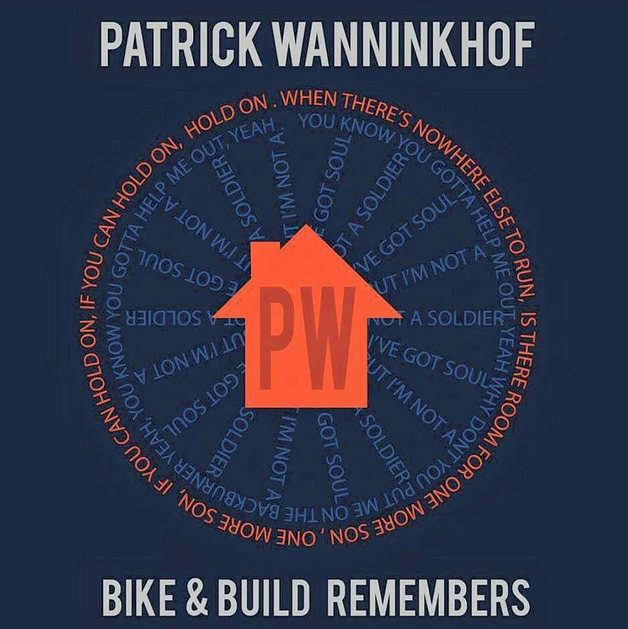 We were extremely saddened to learn about the death of Patrick Wanninkhof, a Bike & Build cyclist who was tragically killed in Oklahoma after being struck from behind by a vehicle while en route from Maine to Santa Barbara — the same cycling route that Christina completed in 2009. Our thoughts, prayers, and support are with Patrick’s family, with Patrick’s riding partner Bridget Anderson who suffered several broken bones from the accident, and with all of the other Bike & Builders still on the road. Thank you to everyone who came out to support the Christina Clarke Genco Foundation this year at our annual Spring Benefit and Mother’s Day Memorial Ride! Both events were a ton of fun, bringing together both old and new friends, and renewing Christina’s spirit in all of our lives. A huge THANK YOU to all of our sponsors for their continued support! Enjoy the summer and hope to see you all again next year! Join us on Sunday, April 12th for a special cycling class at Recycle Studio to raise funds for the CCG Foundation! Recycle Studio offers a whole menu of classes, broken down by what the student’s “intention” for that workout is accompanied by a variety of lively playlists. Recycle was Boston’s first cycling-specific studio, which opened it’s first location in 2010 and it’s second location in 2013. If you have a passion for outdoor & indoor cycling + sweating for a good cause, then we hope to see you on Sunday, April 12th! Tickets on sale for the 2015 Spring Benefit! courtesy of Harpoon Brewery and Blanchard’s Wine and Spirits. for a chance to bid on great gifts and items from local sponsors! Ride with us again this Mother’s Day! 68 mile route starting at 730 a.m.
34 mile route starting at 9:00 a.m.
17 mile route starting at 10:00 a.m.
3.4 mile Family Ride starting at 10:30 a.m. This year, for every friend you refer who registers for the ride, you’ll earn raffle tickets for our fabulous door PRIZES! The ride’s home base at Newton City Hall will again feature the wonderful Boston University Pep Band, a Safety Clinic, and FREE FOOD! 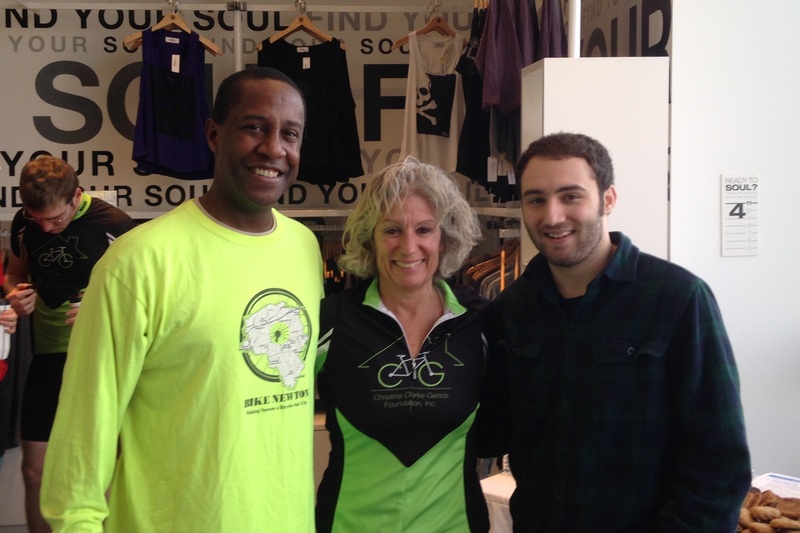 For the second year in a row, the CCG Foundation partnered with the Newton Mayor’s office to host a benefit cycling class at SoulCycle in Chestnut Hill. The event took place on Saturday, March 7th 2015 and was a huge success! We had 48 individuals join in this intense cycling class, raising over $1,500 for the Christina Clarke Genco Foundation! A HUGE thank you to Mayor Setti Warren and his administration for their help in coordinating the event, as well as a shout out to our sponsors, Sweet Idea! and Starbucks of Newton Centre for providing cookies and coffee for a post-workout treat. Join us again next year and stay tuned for details on our upcoming Spring Benefit and Mother’s Day Memorial Ride! 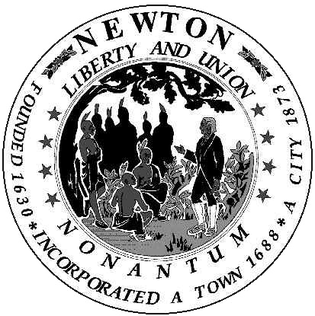 March 7th SoulCycle Benefit: Come ride with the Mayor of Newton! For the second year in a row, we have the incredible opportunity to cycle alongside Newton Mayor Setti Warren at our SoulCycle fundraiser! Riders are encouraged to arrive at 2:30 PM, and class begins promptly at 3 PM. SoulCycle will provide cycling shoes and water with each bike reservation as well as a gift bag from the CCG Foundation. Come early and you can also join SoulCycle’s One Year Anniversary Celebration (8 am – 1 pm) complete with photo booth, DJ, and refreshments! Limited space is available, so register early to save your bike! Please help us spread the word by sharing this event on facebook & twitter with our hashtag #bike4christina ! Today is one of those days where it’s insanely easy to get caught up in the daily grind of it all, until you realize what date it is. 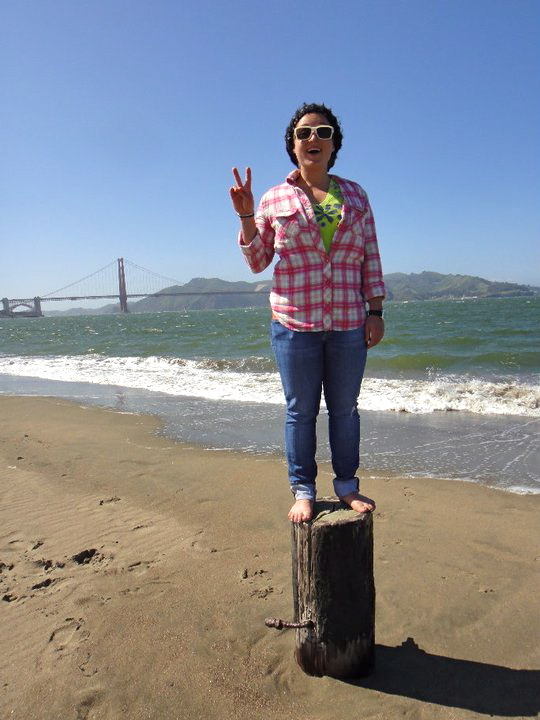 Three years ago, we lost our incredible friend Christina Genco, and thinking about it still cuts deep. I’ve had the immense fortune of knowing Christina as a friend, serving my community alongside her through Bike & Build, and now being a part of this foundation that carries on her legacy. As the years get longer, we all realize that more and more people who hear about and our touched by our foundation’s works — whether that be donating money to affordable housing organizations, installing free lights onto Boston cyclists’ bicycles, or supporting opportunities for youth athletics — will be people who never got to know her sweet, kind, giving soul. And you know what? Though that seems sad on the surface, we should look at that as pretty amazing, since we’ve had incredible support from the community at large as much as we’ve had support from Christina’s friends and family. For that, I can tell you, the foundation is eternally grateful. Honestly, for what it’s worth, I think we’re doing a pretty good job of it on her behalf. Endless appreciation goes out to anyone trying to change the world for the better, today or tomorrow — because whether you know it or not, you’re celebrating what Christina was about. Got a light last night, want to volunteer? If you got a set of free lights, or simple have heard about our light giveaway heres the deal. Want to voluneteer for our next giveaway? Email your contact information to info@ccgfoundation.org with the subject header: Bike light volunteering. Include your contact information. As soon as we have a date set we will email you with our next giveaway date and all the relevant infomation. Its that simple. We hope to see you lighting up the streets of Boston. Soul Cycle with the MAYOR! We’re super excited to have, on the heels of our incredible Memorial Ride, the SOULCYCLE fundraiser with Mayor Setti Warren on June 7 @ 2:30 p.m.! SoulCycle is an awesome, upbeat, indoor, re-invented spin class that is definitely not your typical gym session. SoulCycle riders climb, sprint, jog, dance, and have a total blast with a vibrant instructor and a classroom full of excited participants. Plus, you get to ‘race’ the Mayor — can’t pass up that opportunity for bragging rights. Spread the word to your friends in the Boston area, and sign up here today! Note: this event is the NEW date for the previous postponed SoulCycle ride — those of you who signed up and registered earlier are already still signed up, so just show up to the event and you’re good to go!